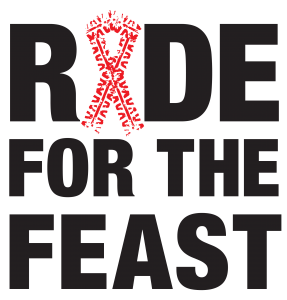 Ride for the Feast (RFTF) is a two-day, 140 mile charity bike ride. Each May, over 200 community members pedal their hearts out from Ocean City, MD to Moveable Feast’s headquarters in East Baltimore. Moveable Feast uses 100% of the money raised to put food on the table of our severely ill neighbors. Not able to Ride, but, want to support the event as a volunteer? Opportunities include: pit stop volunteers, support and gear vehicle drivers, medical team, MOTO team, and much more! For more information or to register, please visit our Ride for the Feast volunteer page. Be sure to join us for Dining Out For Life 2019 on Thursday, September 19th! Participating restaurants will donate 25%-100% of their sales on this day back to Moveable Feast. Want to take your Dining Out For Life experience a step further? Moveable Feast is currently recruiting for volunteers to serve as restaurant Ambassadors. Ambassadors are assigned a participating restaurant and help by: getting family, friends, and colleagues to dine that day, helping to secure additional donations during the event, and working closely with their assigned restaurant to make the event a huge success! To learn more about volunteering for Dining Out For Life, please contact our Volunteer Services team. Moveable Feast welcomes you to join us as a volunteer for many other events throughout the year, including: Baltimore PRIDE, Volunteer Appreciation Week, Holiday Deliveries on Thanksgiving Day and Christmas Day, and much more! For more information on other events and to learn more on how to get involved as a volunteer, please visit our Special Events page on VolunteerHub.